If you are a person of a certain age, are related to Peter Rabbit, or are in the younger generation and follow a health conscience regimen, you have likely had a cup of chamomile tea to soothe you at one time or another. Chamomile is one of the first recorded herbs used for medicinal purposes. Chamomile is included on the FDA’s “generally regarded as safe” list (GRAS). This safety classification covers the use of the tisane well as essential oils used in aromatherapy and massage therapy, lotions, tinctures, and poultices. After conducting animal research, the USDA concluded that chamomile has “moderate antioxidant and antimicrobial activities”. More research is needed to support any other claims. Gardeners like to grow what they consume and chamomile tea is no exception. The first thing to consider is getting the correct plant. German chamomile or wild chamomile (Matricaria recutita or M. chamomilla) is native to southern and eastern Europe and western Asia. It has spread to most temperate regions of the world and thrives in meadows, along fences and roadsides, and disturbed soils. This annual species, a member of the daisy family, is most commonly used to make the teas. A close look-alike is the pineapple weed (M. discoidea), which smells like pineapple when crushed. Pineapple weed is found in similar locations and is edible. However, it lacks the ray flowers or petals of true chamomile and can be easily differentiated in this manner. Roman chamomile (Chamaemelum nobile), also called English or garden chamomile, is a shorter perennial. It hails from western Europe and is less often used for tisane because of the more bitter taste. This perennial can be very aggressive, creeping along by root stems. In addition, it can be mistaken for plants in the genus Anthemis, some of which are toxic to humans and pets. For these reasons, it is not the preferred species to gardeners and tea aficionados alike. Growing annual, German chamomile is an easy, fun adventure. It can be propagated either in an herb bed or incorporated into ornamental and vegetable beds. It will do best in full sun and well-drained soils without much fertilizer or attention. It can be grown in poor soils, but may need some additional water since it is shallow rooted and will dry out. Seeds can be started indoors 6–8 weeks before the last frost date and transplanted after the last frost. Do not wait too long to transplant the seedlings; larger plants do not transplant well. They can also be directly sown in the garden either in the fall or shortly before the last frost date in the spring. Flowers will be ready to harvest 6–8 weeks later. Leave a few flowers for seed for next year, but leaving too many will result in a large patch of chamomile since it readily self-seeds. Harvest the flowers when they are in full bloom, snipping just the bloom. Use them fresh or dry for later use. Store dried flowers in air-tight containers away from direct light. Groundcovers are an often-underutilized tool in the gardener’s repertoire. They can fill in a tough spot where nothing else seems to fit, cover slopes, or complement the space between other plants. 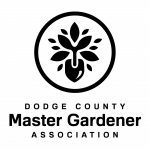 Check out the latest Master Gardener newsletter!